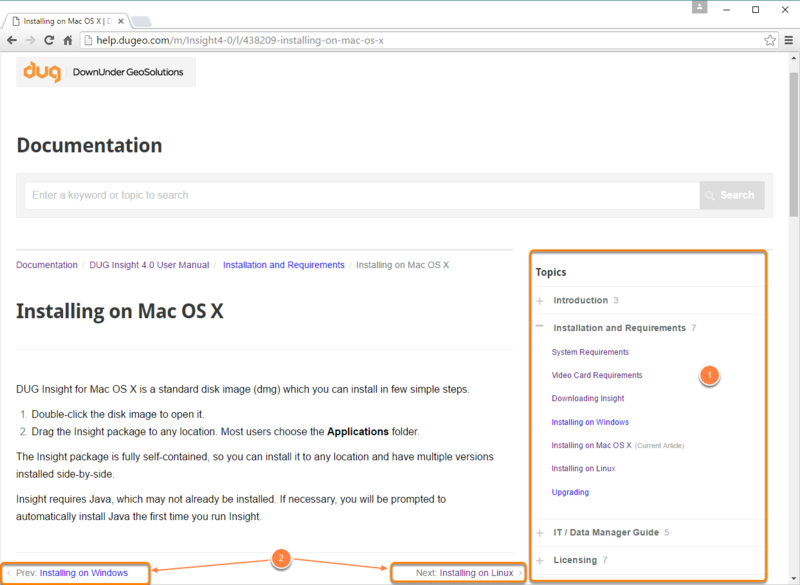 This manual serves as a reference guide for the latest version of Insight and its add-on modules. An FAQ section is also included in help.dugeo.com to answer any common queries you might have. 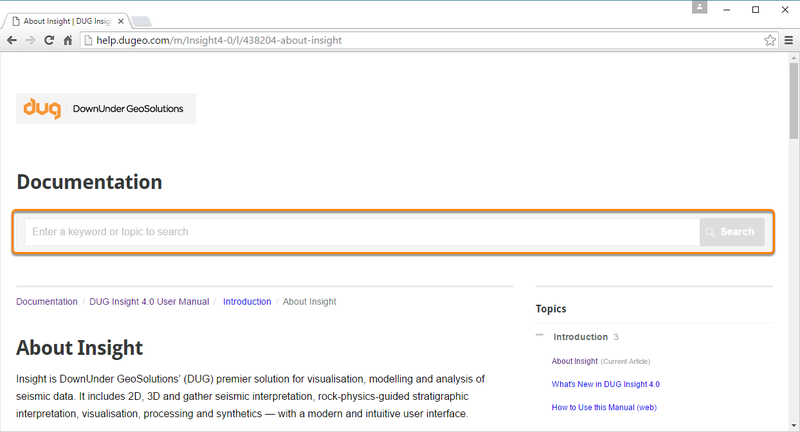 First Steps & Setup — This section serves as an introduction to Insight. It includes details on system requirements, downloading and installing Insight, licence activation, launching Insight for the first time and a basic overview of the general user interface. Data — This section takes you through the process of bringing in your data and managing them. General View — In this section, we introduce you to the various views that are available to display your data, and teach you how to navigate effectively in those views. Objects — This section is a comprehensive guide on each object type (i.e. volume, horizon, fault, well) and how to configure them correctly in Insight. Operations — In this section, we delve deeper into advanced operations and processes that you can perform with your data. Tools — This section covers all the tools that are available at your disposal to process and obtain additional information. Each main section contains multiple chapters that includes articles relevant to them. Click on the links above to go to the particular chapter. At the main Help page, click on the manual or FAQ to open. At any time when perusing the manual, you can jump to another chapter or article from the sidebar. To simply move to the previous or next article, click on the Prev or Next links respectively at the bottom of the article. 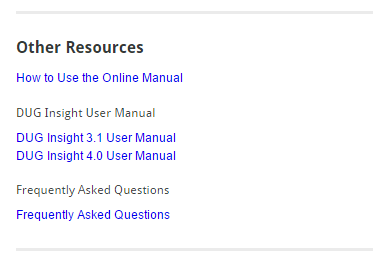 Along the sidebar, after the table of contents, links to other manuals and FAQs are listed for you to easily navigate to and from the various manuals and FAQ. If you are looking for help on a specific topic, type it in the Search bar and click Search. The search bar is visible in every article to make it easier for you to find what you are looking for. 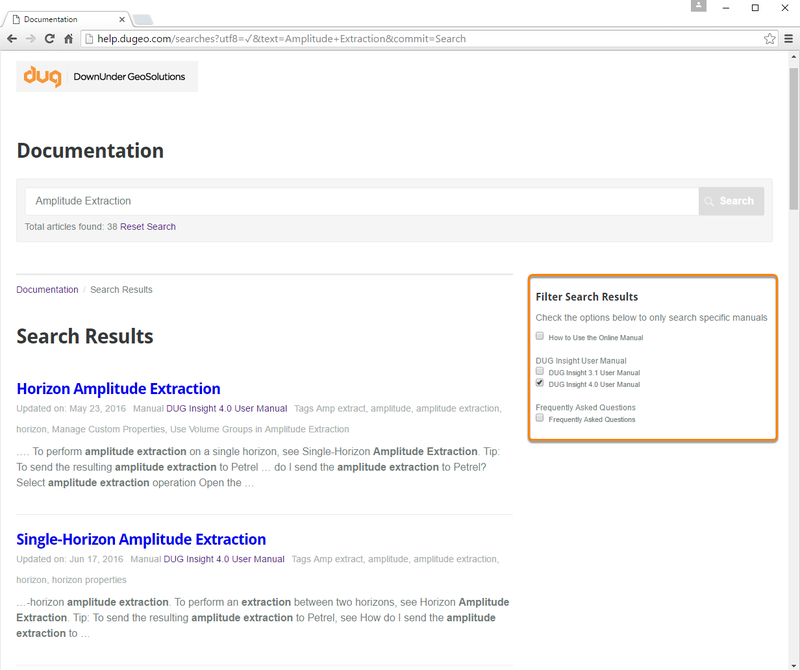 Search results can be filtered based on a specific manual. Simply select the appropriate checkbox at the sidebar after searching. Note: If all checkboxes are checked or unchecked, ALL results will be displayed. Images in the manual are configured to fit into a certain width. Because of that, certain pictures may be originally bigger than what is displayed. When an image is scaled down from its original size, a magnifying glass icon will appear at the bottom right of the image. Click on the magnifying glass or on the image to display the image scaled to the full screen of the browser, up to its original size. At the bottom of the sidebar, you can choose to translate the article into any language supported by Google Translate. However, please note that we do NOT guarantee the accuracy of the translation. 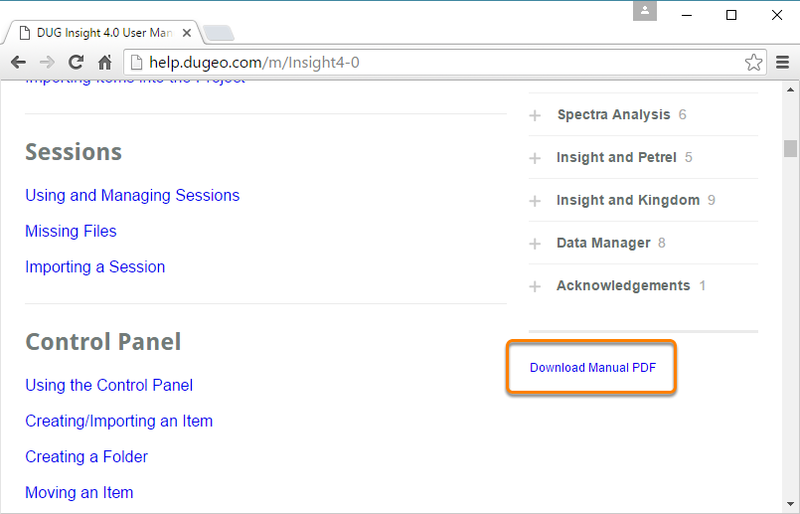 To refer to the DUG Insight user manual anytime anywhere, even offline, you can download the PDF of the manual. The link to the download is located at the Table of Contents page at the bottom of the right sidebar. Note: The online manual is updated on a daily basis. When you download the user manual, however, you will be getting a static version. Hence, the PDF might not reflect the latest version of the manual.